MATCH 'em UP, STACK 'em UP! 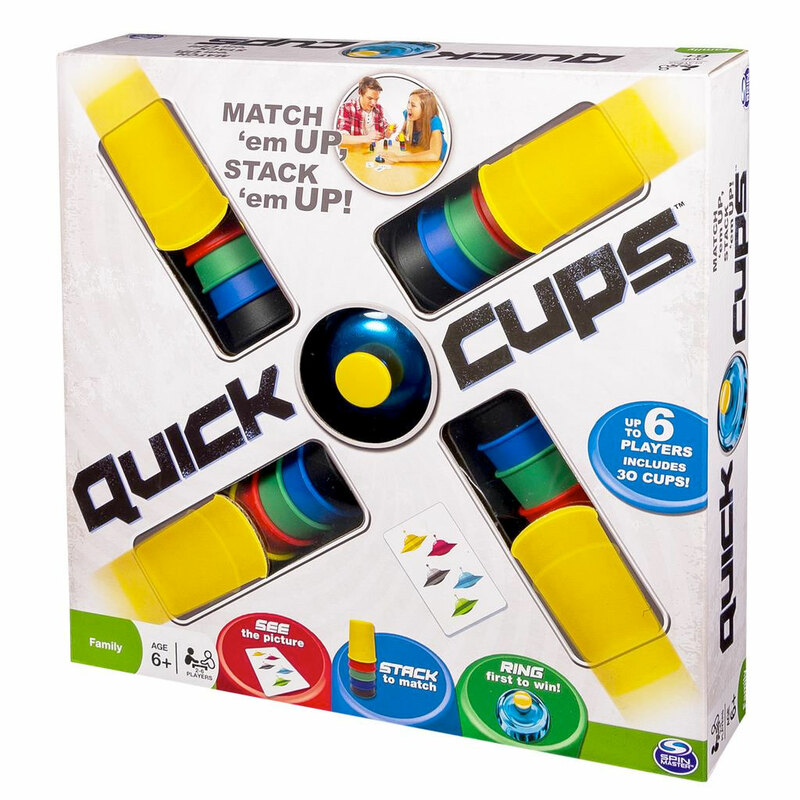 QUICK CUPS™ is the fast-paced family game of matching and stacking cups to a picture! Be fast to win! QUICK CUPS™ is the fast-paced family game of matching and stacking cups to a picture! Each player gets a set of five cups in five different colors. When a picture card is turned over, everyone races to line up or stack up their cups in the same color order as the picture. When the picture is horizontal, you line your cups up. When the picture is vertical, you stack them up. Finish first and ring the bell -- you just won the card! Win the most cards after all have been played, and you win the game! QUICK CUPS is match e&apos;m up, stack &apos;em up fun! 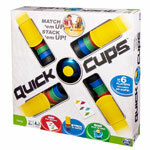 Quick Cups is the fast-paced family game of matching and stacking cups! Players start with a set of five colored cups. Turn over a picture card and quickly stack up or line up your cups to match! Quick Cups tests your agility and speed. You have to be fast to win! Quick Cups is for 2 to 6 players ages 6 and up. No Batteries Required.